Ships today if you order in the next 1 hours 18 minutes. It's not your fault that you sweat. Perspiration is the body's natural cooling agent and helps to prevent you from overheating. But over-sweating or active sweat can sometimes be a nuissance. 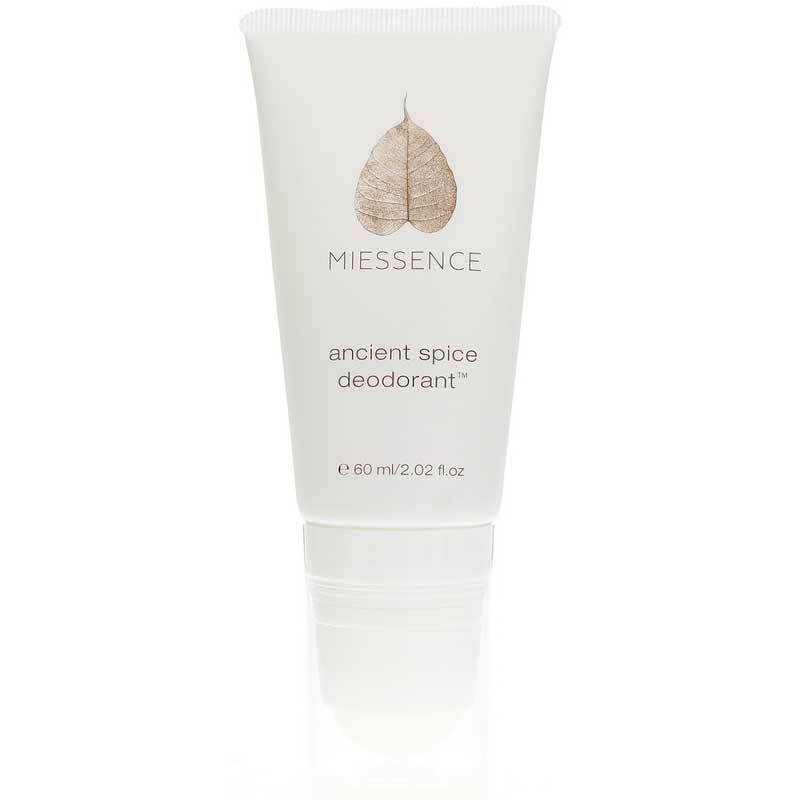 Miessence Ancient Spice Roll-on Deodorant is designed with a trustworthy formula for even the most active people. Order today and discover the benefits of all-natural deodorant. Shake well before use. Use as required. If the ball becomes stuck, rinse and loosen under warm water. I have been through quite a few "natural" deodorants that left me with smelly results. I finally found Tahitian Breeze Roll-on Deodorant and it works! 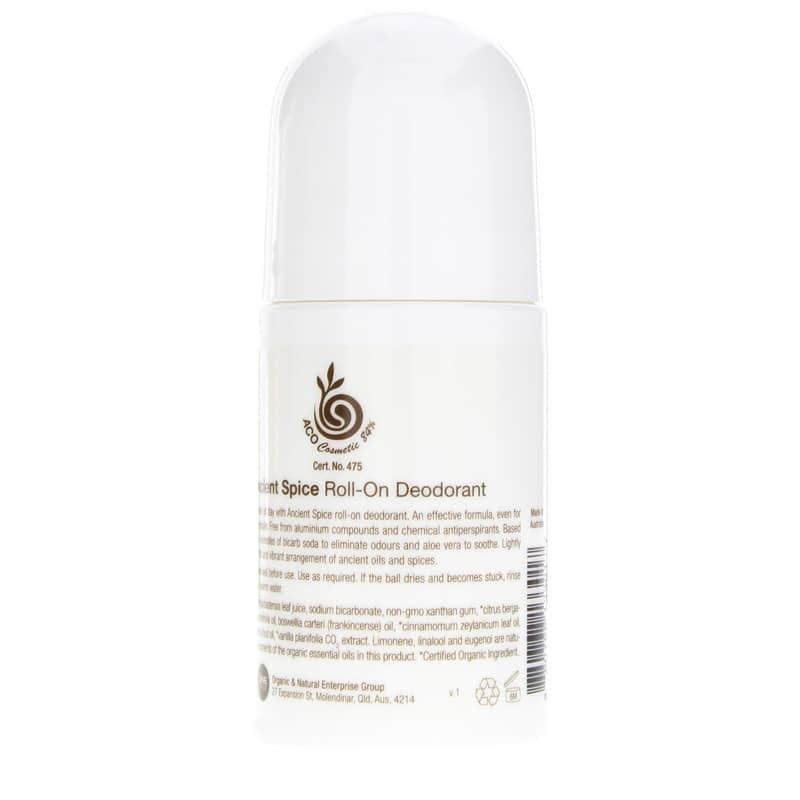 There are not many natural deodorants which keep you smell free and this certainly does. So that's a BIG plus. The only problem I have is that it doesn't dry quickly, so if it's humid or you start sweating quickly it will remain constantly wet. Not very pleasant at all. But at least I don't smell which is definitely the most important thing. With the wetness only I deal with it, with smell others would have to deal with it too. Miessence is the only natural deodorant I have found that works. I like this one, the aroma free, and the ancient spice. tahitian breeze i will pass on-smells like a hippie patchouli fest. anyhow, i def recommend this! Make sure you shake bottle really well! It took about a week of consistent use for my body to get used to this product, and for it to start working to it's potential. After using non-organic deodorant my entire life, i am pleasantly surprised with this product. Overall, I'm fairly pleased with my purchase. I heard that it works and it does. I'd wear something if I'm expecting to sweat because it just doesn't work. If it's hot out and I'm walking around a lot a re-apply is needed. I also can't put it on once I shave because it stings. It also is quite wet so I feel like I have to let it dry. Great deodorant, but if you are expecting it to perform like regular deodorants, you are going to be disappointed. I say this because it will not stop you from sweating, but no natural deodorant will, so that's why the 5 stars. Smells nice, goes on easily, dries fast. I'm very happy with this product! Tahitian Breeze Roll-on Deodorant smells nice and works well. i don't get rashes in my pits unlike other regular deodorants I've used, so that's a good thing. it's not an antiperspirant, so you still sweat. my shirts don't get stains though, so that's a good thing. also my pits don't smell like death at the end of the day. Ancient Spice Roll-On Deodorant smells good, and doesn't give your rashes (at least, not me). don't expect an antiperspirant, because you still sweat. i don't drip and my shirts don't have pit stains, so something is working. at the end of the day, my pits don't smell like death either. I 've been looking for a great natural deodorant for a while and have heard great things about Miessence. I've only been using for about 2 weeks but it works great so far and the smell is fresh, kinda spicy. So far Tahitian Breeze Roll-on Deodorant is the best nontoxic deodorant that I have tried, and I have tried many over the past several years. I do not need to apply it as often throughout the day as I do with other brands. I didn't notice before I bought the product that it contains patchouli, and I don't like that smell. 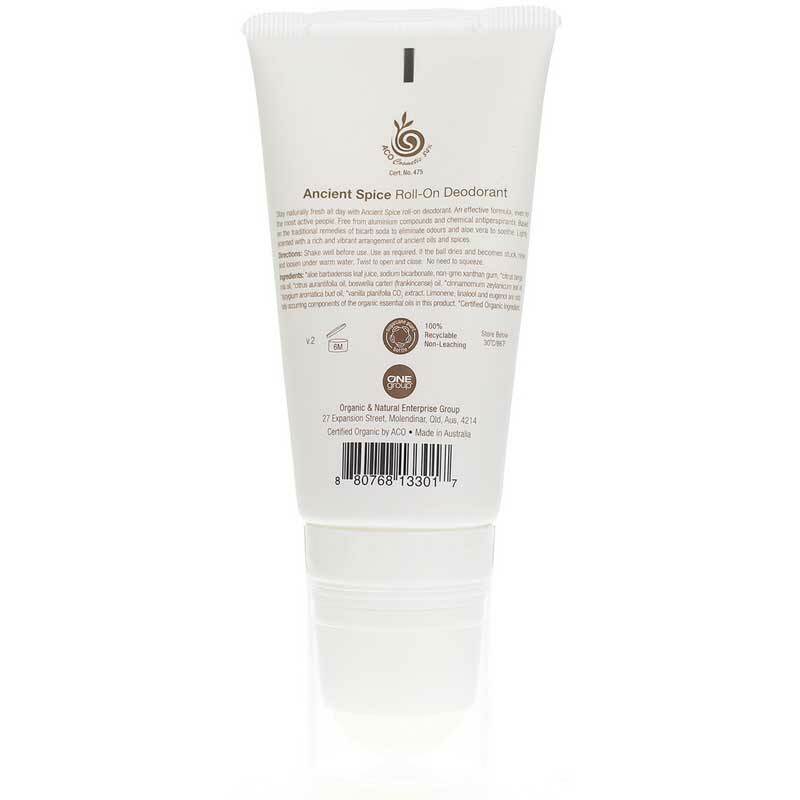 So if you don't mind patchouli, you will love this deodorant. I Can't Believe It Works! My husband and I have come to realize that we require more from our deodorants/antiperspirants than the average people. He perspires more than the typical man (he's very active/ high metabolism), and that lovely aroma that follows has proven to be more than embarrassing at times. To add insult to injury, painful lumps have appeared under his arm occasionally, due to the bacteria buildup from sweat and regular antiperspirant usage. I sweat a little more than normal as well; I am very active, and one of my biggest problems (aside from my deodorant not lasting) is the white residue left behind from not just regular deodorants/antiperspirants, but the "goes on clear" type as well. We both like a baby powder scent or fresh scent, because any other smell actually smelled worse when mixed with sweat. We have tried just about every grocery store brand out there. We did switch to just deodorant, instead of an antiperspirant, which helped with the lumps, however it didn't do the job in the sweat/smell area. How annoying, for so many years, struggling with something you have to put on every day-- sometimes twice a day. I am a research gal, so before I spend money I want to make sure I'm not only getting a good deal, but a good product as well. This proved to be a very difficult task, with all the countless "organic", "natural", blah blah blah after awhile products on the market. To be quite honest, there were two reasons why I selected this deodorant over all others: On average, the reviews were the most positive for MY needs and, I have to admit, Natural Healthy Concepts had the cheapest price for the product. The odds of it actually working seemed astronomical to me. After three weeks of testing this product on both me and my husband (working out almost every day, high paced work environment, sweating during sleep) I am thrilled to say we are satisfied all the way around. Yes, we still sweat--but we are human! It is unhealthy (i.e. the lumps under arms) to suppress sweat all the time! Do we smell? Absolutely not! We don't smell like anything except our lotion or cologne--we tried the Aroma free (I probably would have bought a baby powder smell if they offered it, but I do love not smelling ANYTHING instead) Honestly, I don't know why it works so well--it may not for you, but if you're looking to change things up, I recommend you give this a try. It is worth the money! I mean, really--how much have you spent on terrible deodorants already? As a side note, Natural Healthy Concepts was an easy transaction, shipped fast and terrific packaging. I never, never write reviews--really--but I feel so strongly about this purchase that I want to share it with whoever wants to listen. Good luck! I love this, last a long time, neutral smell, keeps me fresh. I've tried several all natural products and none of them worked to keep you smelling fresh. I was skeptical when I heard about this one, but after using it for over a month, I'm a true believer! My natural deodorants were not working for me anymore. Saw a review of 10 naturals that were really good. Ordered this one as it made the cut and have been tremendously pleased! Lasts all day in preventing bad underarm odors. I was hesitant to try an all natural deodorant because my concern was that it wouldnt work. Im a big sweater, even with no physical activity ill sweat, so imagine my worry as well. But its proven quite helpful! Ive tried it for about a month now, will report back with any changes. I am allergic to regular deodorants and have tried numerous other products. I am so glad this one was recommended by a friend because I can wear it consistently with no problems - and have been for about 3 years now! This is the only natural deodorant I've ever found that actually works!! It's a great product. I'd rather be safe then sweet if I must choose but I wish I didn't have to. This deodorant gets the job done but it has a masculine scent. I miss the smell of honeysuckle in my old deodorant but I don't miss the migraines that brought me to my knees. I smell like my husband when I wear this. I prefer the tahitian breeze but will wear if nothing else is available. I'm waiting for miessence to come out with more feminine scents. I stay fresh all day! All good with none of the bad. I will probably use this for the rest of my life. I have used the Tahitian Breeze over the last year and loved it. Although I still sweat and have to reapply when its really hot it's one of the best natural deodorants I've used. So I was starting to run out and decided to try the aroma free version just to give myself a break from the Tahitian smell, but for some reason this one causes me to get a dry skin rash under my arm. Since I have a little Tahitian left I now switch up and use that one from time to time. I don't know if anybody else has had this problem, but it's kind of heartening since I loved the other one. I know that different products have different effects on the skin, so I would still say try it out if you are looking for an alternative to regular deodorant. A fabulous all natural deodorant! My friend recommended Aroma Free Deodorant after we've both been searching for an all natural deodorant that actually works! This one works great, is affordable, and lasts all day! About 3 years ago, I developed a rash and itching with other deodorant products and spent several months trying to find a product that would both work and be rash free. My husband tried the new products, too, and we went through almost all of the "natural" products available. They either didn't work on a warm summer day, or eventually caused that itch again. Miessence is the ONLY product that really works, and after almost two years of using the product daily, I can say it both works, and doesn't cause any irritation. My husband and I both love it! I love this so far. Would be 5 stars, but I don't find the Tahitian Breeze to my liking. It is strong at first, but not later. That is just my personal preference & the next time I'll try unscented. Also, the price keeps it from being a 5 star. I find that I don't need to reapply more than once, but we are just getting into the summer months. I don't expect it to keep me dry because I believe it is more for odor.